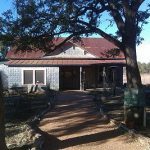 Compass Rose Cellars has established a lovely location south of Hye, TX, down Hye Albert Road, just a short distance before reaching Garrison Brothers Distillery. 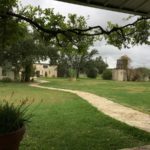 Mark Watson, proprietor, has a comfortable tasting room, a kitchen for preparing sumptuous snacks and full wine dinners, and now several casitas where guests can stay to better enjoy the Texas Hill Country experience. 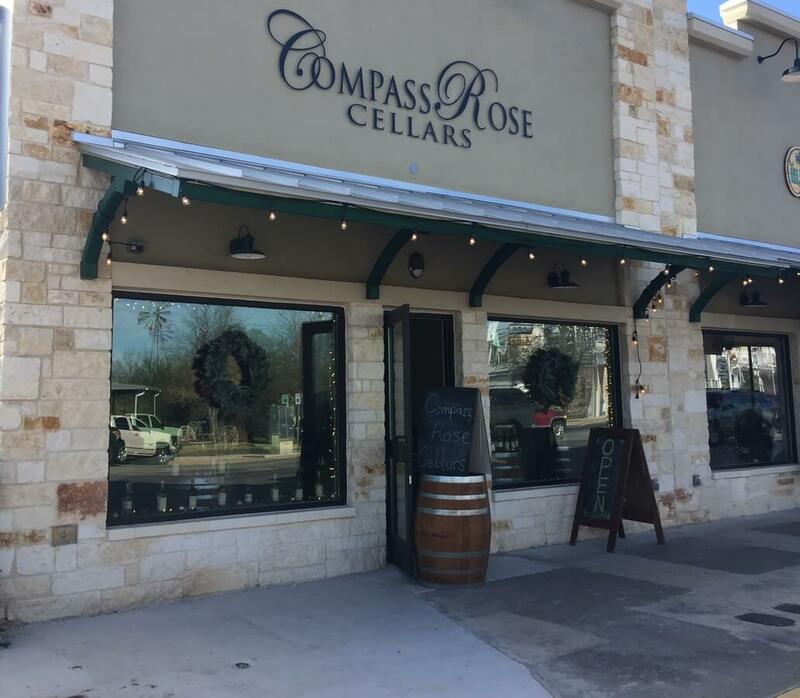 Compass Rose Cellars has just opened a new location in Fredericksburg at the eastern edge of the main shopping district called appropriately enough Compass Rose Cellars – Fredericksburg. The classy tasting room is housed in a newly constructed rock building at the corner of Washington Street (US 87 south) and Main Street (US 290 east). 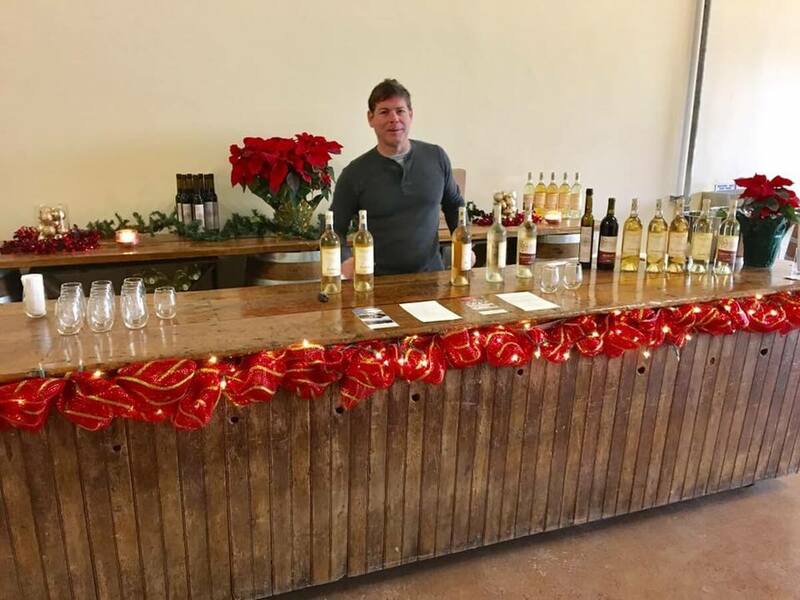 The tasting room has high ceilings, lots of space for tables and barrel racks, and a beautiful wooden tasting bar salvaged from vintage materials. 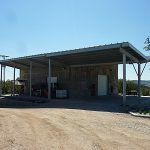 Charles Green is managing this new tasting room, and he provided us with a cordial, fun, and informative tasting. The official tasting list, labeled “Winter Wine Tastings,” included five wines. 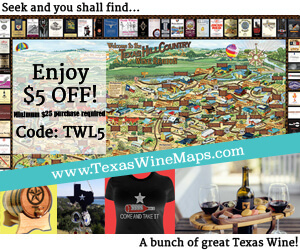 One tasting price is refunded with the purchase of three bottles or by joining the Journey Wine Club. 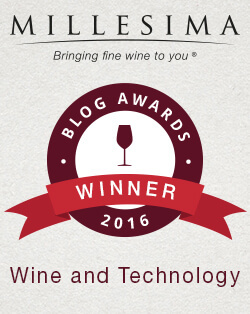 The contemporary stemless wine glass is complimentary with the purchase of a tasting or glass of wine. 2015 Chenin Blanc – The fruit for this lovely wine was sourced from the old vines of Martin’s Vineyards on the Texas High Plains. The wine offers aromas of crisp apples, a bit of mown hay, and some tropical fruit notes. The wine has not received any oak treatment, and finishes in a lively, fun fashion framed with balanced acidity. 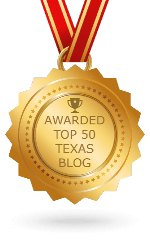 2015 The Conversation – This represents the first white wine blend for Compass Rose and includes Pinot Gris (60%), Chardonnay (35%), and Semillon (5%), all Texas-grown fruit. 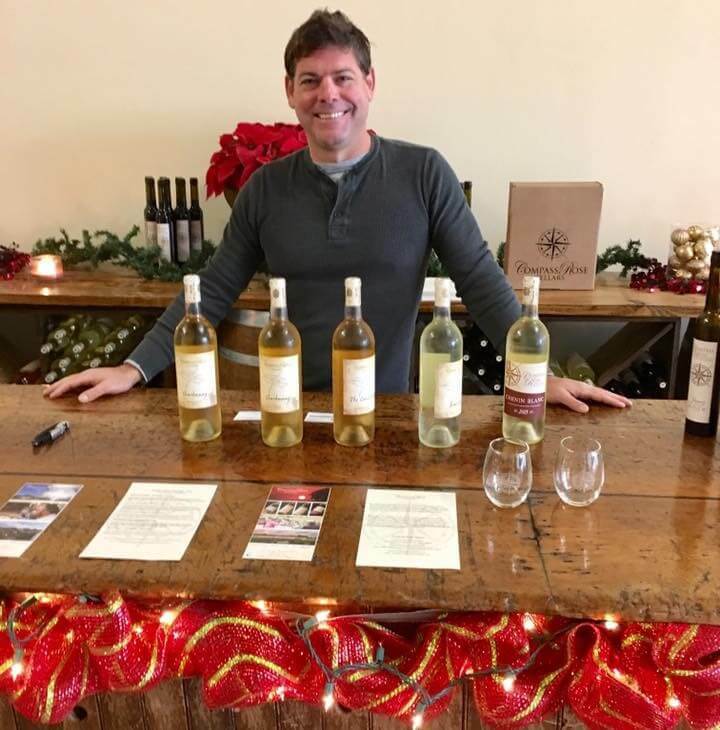 The Pinot Gris was sourced from Tallent Vineyards in Mason County; the Chardonnay from Robert Clay Vineyards in Mason County; and the Semillon was sourced from Martin’s Vineyards on the Texas High Plains. The wine had a nice golden color with hints of honey and almonds on the nose. There were nectarine and tangerine flavors in this dry, savory wine that showed no sweetness. This was medium-bodied, pleasant, and finished with a bit of complexity to keep it interesting. 2014 Touriga Nacional – This single variety wine was sourced from Robert Clay Vineyards in Mason County. Touriga Nacional is native to Portugal and is the key grape used in making both the famous, historically significant fortified Porto wines and the more recently exported dry red table wines from the Douro Valley that are garnering significant attention from the wine world. This had a dark garnet color and floral hints (lilacs, pear blossoms) on the nose. The flavors of blueberry, cured tobacco, and freshly cut cedar were beautifully enhanced by 24 months aging in French oak barrels. The finish was rich, long, and showed restrained, ripe, dusty tannins. 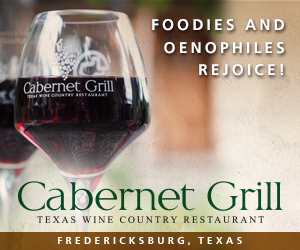 2014 Random Lines – This is an all-Texas blend of Cabernet Franc (34%), Petit Verdot (33%), and Ruby Cabernet (33%). The grapes were sourced from vineyards in Terry and Mason Counties. The nose offers notes of smoke and vanilla (barrel aging), violets, and sage. Black cherry, dark plums, and suede leather come across as key flavors. 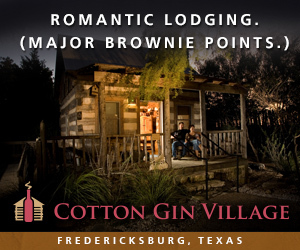 This wine is medium-bodied with relatively high-alcohol and ripe tannins – made to pair with a perfectly grilled Texas steak. 2013 Jaquez – This is the second edition of a fortified Port-style wine from Compass Rose. It is made from the Jaquez grape variety, also known as Black Spanish or Lenoir. 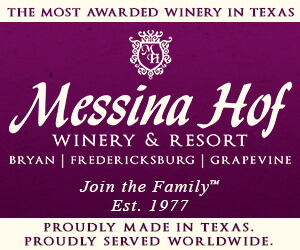 The fruit was sourced from Enoch’s Stomp Vineyard near Longview, TX. 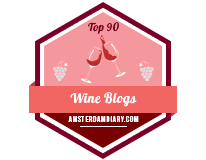 The fruit aromas and flavors remind one of baked black plum pudding or raisin pie. 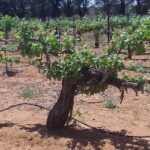 The higher alcohol and rich level of sweetness is tempered nicely by the fact that hybrids, such as Jaquez, have little or no tannin. Thus, this finishes in a smooth and mellow fashion – a perfect pairing for rich cheeses, dried fruits, and dark chocolate. In addition to the formal tasting, Charles Green offered us tastes of three wines that will soon be released, presumably for a Spring Tasting List. 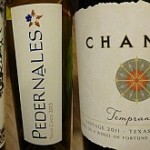 These three wines were all white and all showed well, as detailed below. 2015 Semillon – Though not normally bottled as a single variety offering, Semillon has fans that like the golden honey aromas, slightly citrusy fruit flavors and difficult to describe “waxy” character. Try an Australian version from the Hunter Valley to understand this description. 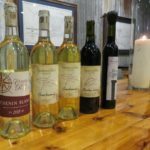 This Compass Rose Semillon was produced in a straightforward dry style that should be food friendly and support the notion that quality Semillon can be produced in Texas. 2015 Chardonnay – I am a big fan of Chardonnay, and very pleased that wine of this quality is being produced in Texas. The fruit was sourced from Robert Clay Vineyards (60%) in Mason County and Kendall Farms (40%) in Washington. 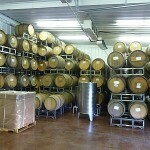 The fruit was cold fermented and then aged in stainless steel tanks. The aromas of peach and apricot are clean and fresh. The wine is balanced and tingles with just a bit spice and acidity on the finish. 2015 Chardonnay – This version of Chardonnay was made from fruit sourced from Robert Clay Vineyards in Mason County. 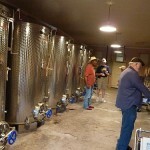 Following cold fermentation in stainless steel tank, the wine was aged 13 months in French oak barrels, a good percentage of which were new wood. This offered aromas of baked peach pie, vanilla cream, and a bit of smoke. The flavors echoed the aromas, leading to a fuller-bodied finish with definite notes of toasted nut croissants. 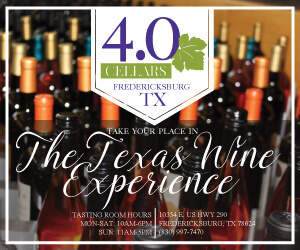 We enjoyed our visit to the new Compass Rose Cellars tasting room in downtown Fredericksburg. Charles Green was certainly a cordial, informative and generous host. 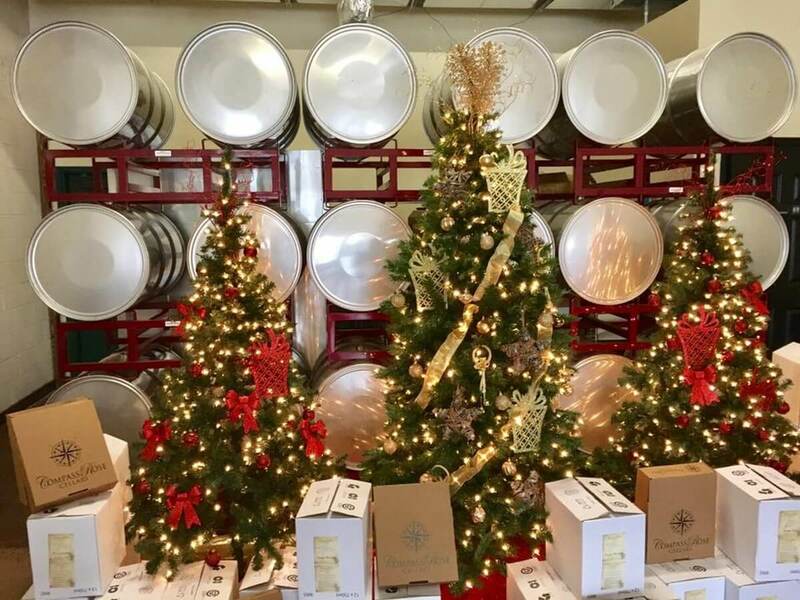 Congratulations to Mark Watson and the entire Compass Rose Cellars team on a job well done.